With the rapidly changing technological landscape in engineering industries, an advanced degree or continuing education is becoming increasingly necessary. 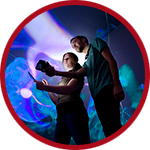 Several departments offer master of engineering degrees that are 30 credits of coursework only and require no thesis or creative component for completion. You can take up to three courses (or nine credits) before applying for admission to the programs. Many of the courses for these degrees are offered online. Students in the master of engineering degree program are typically self-funded. For more information about registration, fees and delivery methods visit Engineering-LAS Online Learning. For a complete listing of the online engineering graduate certificates and master’s degrees, click here. 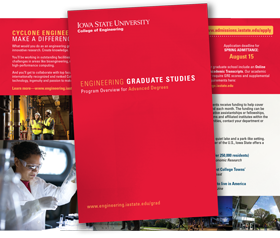 What would you do as an engineering graduate student at Iowa State? Lead innovative research. Create knowledge. Become an expert in your field. You’ll be working in outstanding facilities with top faculty and fellow students at a internationally recognized and ranked College of Engineering equipped with the technology, ingenuity and passion to make a difference. Welcome to the new Marston Hall! Iowa State University-College of Engineering rededicates Marston Hall.